My two greatest passions in life are traveling and history, and I’m always on the lookout for travel destinations that allow me to combine the two in some manner. So you can imagine how ecstatic I was when I first found out about the Camino de Santiago. This old network of pilgrim routes seemed to have everything that a traveler like me would want from a trip. The story of the Camino begins around the 9th century AD, when pilgrims all across Europe started taking the journey to Santiago de Compostela, a cathedral in the Spanish region of Galicia that holds the remains of the martyr Saint James. The journey would last up to several years, and it was mostly spent hiking on foot from one church refuge to another. What initially drew me to the Camino was the fact that you could faithfully recreate the medieval adventure of going on a pilgrimage. It was a way to experience history first hand, while simultaneously perpetuating a centuries-old tradition. By becoming a modern-day pilgrim, I feel like I have gained a deeper appreciation of Europe’s cultural heritage. You don’t have to share my preference for all things historical to have a good time on the Camino. As far as European travel destinations go, the Camino de Santiago is at the forefront of sustainable, eco-friendly tourism. 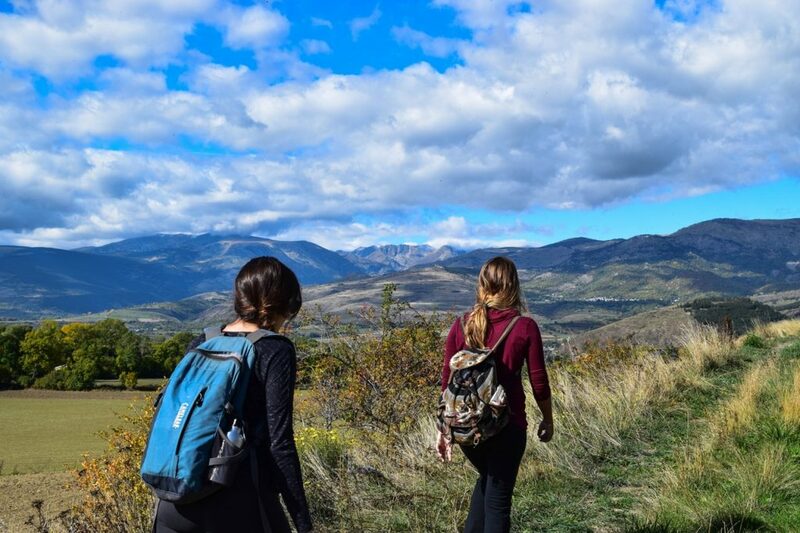 Local businesses along the way will take care of the majority of your travel needs, and hiking is one of the few travel options with a practically non-existent carbon footprint. You may also just be looking for a different type of holiday, one that will allow you to be alone with your own thoughts, and one that will allow you to move. Either way, one of these ancient routes would be the perfect choice. To get the most out of your trip on the Camino, you need to be adequately prepared. After taking several walks down pilgrim’s way, I now feel like I have a pretty good understanding of how one should go about doing this. I will share my thoughts on the matter below, and I hope that you will find them to be useful for planning your own trip on the Camino, or any other walking trip for that matter. If there is only one rule you should follow while hiking on the Camino de Santiago, it is to travel light. Depending on the route you choose, you could be walking upwards of 700km, so you don’t want any extra weight slowing you down. I have broken down all the stuff that I took on my trips into several categories, to give you an idea of what to aim for. When it comes to clothing, picking the right pair of shoes and socks should be at the top of your priority list. As for the rest of your outfit, you don’t need to get carried away too much. I took three sets of clothes, both long and short sleeves, along with a poncho to protect me from the occasional instances of bad weather. Trust me, you won’t want all that extra clothing to weigh you down two days in. Some Camino veterans would argue that with the wealth of accommodation available on the road, you don’t need to carry a sleeping bag. Since I am more of the cautious sort, I took a sleeping bag with me just in case, and I ended up using it on several occasions where I felt the accommodation was lacking. Alternately, you can take a sleeping pad that can be used both indoors and outdoors. Food and water are widely available no matter where you are on the Camino, even during Sundays. Monastic refuges, bars, hostels and inns offer local specialties at low prices, and every town along the way has some means of obtaining clean water. Bring a few snacks with you if you want to be on the safe side. I feel that the best way to experience the Camino de Santiago is by going as low-tech as possible. A smartphone is realistically the only piece of technology you need to bring. A battery pack might come in handy if you find yourself using the GPS navigation feature a lot. You might also want to forgo packing a camera, and only use your phone to take pictures. Taking out a so-called “pilgrim’s passport” will allow you to stay at some places along the road free of charge. It’s fairly cheap and easy to carry, so I took one for my journey. A walking stick might come in handy while going up and down slopes on the road. When deciding what to pack, you should also take into account the particular route you will be taking. I have tried three routes so far, and here are my thoughts on each one. By far the most popular route, the French Way is the most tourist-friendly option. You can probably do without a sleeping bag, and other additional equipment. 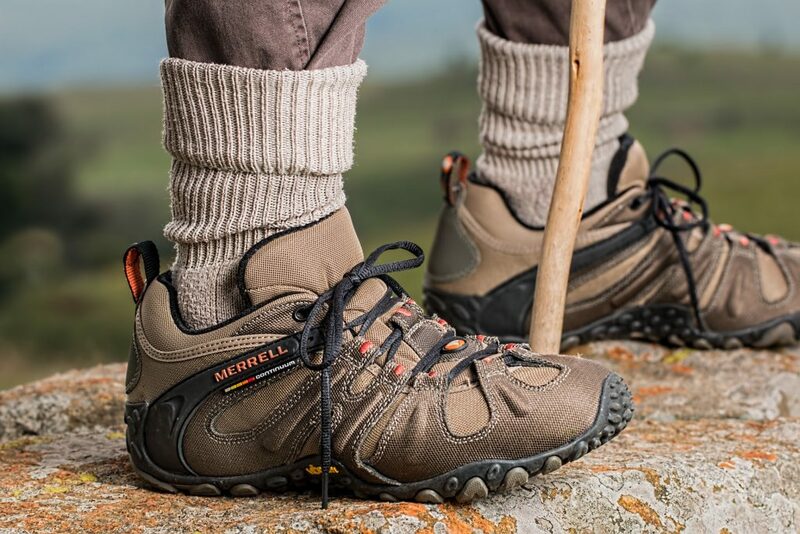 Good hiking shoes are a must, as this route is a hefty 764km long in total. This route has some of the best camping options, so if you are the type that likes to take a breather once in a while, bringing a tent, a sleeping bag, and cooking equipment might be a good idea. This route is “only” 313km long, but it is one of the more difficult ones. Steep climbs and harsh weather are fairly common, so be sure to bring adequate clothes. The scenery is particularly breathtaking, so you might want to bring a camera. Packing for the Camino might seem intimidating to hiking newcomers, but in reality, it’s not that big of a deal. You can successfully complete the trip with just the bare necessities, so you should spend less time obsessing over what to bring, and more on enjoying the life on the road.